Hello guys….here is the next part….read nd enjoy…. This is also completely MAANVI’s episode…..
Dont forget to give feedback…. SORRY GUYS …THERE IS NO RECAP…. “are u mad….why did u come here….meine manna kiyathana…..even I ordered u dont come here nd try to talk with me…..but u didnt…moreover wt is this childishness…wt u r thinking…”he turned to her while scolding her in top anger but seeing her expression he didnt understand how to say the next words…. He immediately turned his eyes from her nd looking outside…. “I dont know wt u r thinking….but if u r thinking about me as i am a good person seeing my soft behavior with u….ur thinking is wrong….I am bad…’…..before he complete it…. “i know…..but not too bad…..mein yeh bhi jaanthi hu”..….she said keeping the glass on the t-poy…. LETS SEE WILL HE GET THAT POINT?…..WILL HE JOIN THE DOTS ABOUT SHIVAAY OR NOT? Mahi was really amazed hearing her explanation nd the reason behind her act….Munna was surprised …. “if people judging u as a bad person seeing ur acts …..it doesn’t mean that (pointing his mind ) ur mind nd (Pointing his heart) heart are also think in the same way like ur acts…”…..she said…. He starred at her….He didnt understand how to make her understand the matter nd how to tell the fact…..
With his words Mahi came to sense…..he tried to call Munna but he left from there…. “why u ordered me?….why u said like that?” she showed her anger on him by asking it while holding his collar…. He was shocked for her act nd later a smile appeared on his face…. Seeing his smile she left his collar nd without looking at him she came nd sat in the sofa…. Few seconds later ….he went near almaira nd taking out the currency bundle which she gave to him….he came to her nd keeping the bundle on the t-poy ….he sat infront of her…She frowned at the bundle nd looked at him in confusion ….she identified the bundle nd also noticed that he didnt take a single note from it…. She sat striaght hearing it…. “wt happened…oh how did I know that u r the owner of this chawl….right”….he asked observing her expressions…. “yesterday when GanguBhai came nd collecting the rent from others ….seeing me he tried to escape without asking the amount….when I cornered him he told that u r the owner of this chawl….I want to ask u about this but before it that incident took place”....he said..
She understood nd without giving reply she stood to leave…. 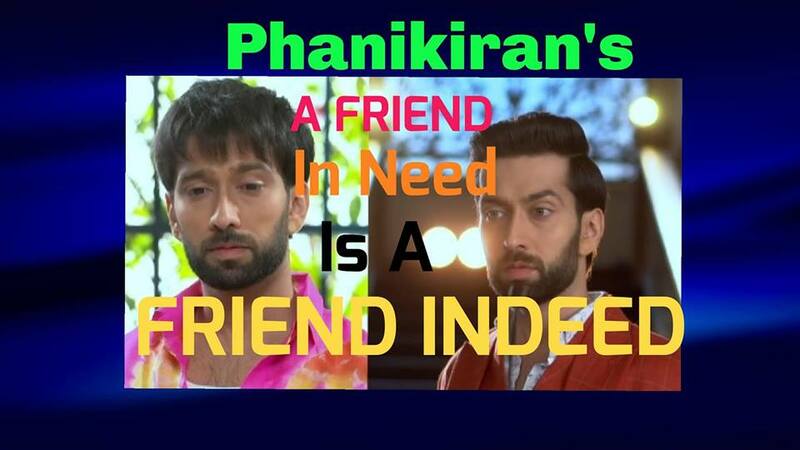 “take this Anvi….I want to stay as ur friend…but not as ur subordinate”….he said giving back her words …. for his call …comingout from the thoughts…. “well take this”….he said showing the bundle…. She leaned back in the sofa nd sitting relaxedly she nodded in no…. “yes, u r my friend but I dont know any thing about u”….he said indirectly saying his wish to know about her…. She looked at him ….she understood his intension …she sat in the sofa with folding legs nd she asked Mahi from where to start…. “tell about ur background nd how did u become friend of Shiv”….he asked…. She looked at him….she didnt understand one thing that he didnt allow her to know about the reason regarding his behavior towards Shiv but he want to know about her nd her friendship with Shiv…. “nothing like that ….mere baaremein kehneko jyada tho nahi….”she said thinking as from where to start…. “why u accepted my call of Anvi when ur name is Anvika”….he asked…. “aisa sirf mere maa bulaathethe…..after her dimise no one is there to call me like that….when u called me Anvi mujhe meri maa yaad aayi..thats it”….she said. “haa…not only my mom…even my dad also left me…u know….my dad loves my mom a lot than me….issliye my dad left me nd followed mom “….she said trying to come out from the pain…. She smiled ….he understood her pain seeing her lifeless smile..
“Anvika Agnihotri….the one nd only heir to Agnihotri’s business empire……my parents left me when I was 14…..at that time for me …my grand father is there …he loves me a lot …..but when i returned to him after completingof my studies as per my grand father’s wish ….he left me alone in this world by giving the responsibility of the business….I am new to business at that time…in that crucial period….Shivaay stood for me nd helped me in handling the business….when I studied at the London Business University….he is senior to me nd the friendship started due to a project work ….his loving nature nd his caring towards his family nd brothers I became his fan …later we both became best friends…..Later we both became partners in a business as per my plan to make Shivaay as the Emperor of Business world …..but for out side world we r rivals….no one know about our plan until we announced it in the last month…..this is about me”….she told …. Hearing it …she came out from her trance state nd looked at him…. “u said something ….wts that?”…he asked…. She realised about her tongue slip…. “Mein…meine kya kaha?”…she asked trying to escape…. “wahi…kuch stranger, femiliar….aisa kuch kahi tune….phirse bol …I didnt hear it clearly”….he said while coming near to her…. “I didnt say anything like that….I think u r feeling sleepy…its better if u sleep well….okay gud night”…..said she hurriedly came out from the house nd without looking back she rushed to her car nd with in seconds she left the chawl…. He starred at her …..a smile covered his face….rubbing on the neck …..
“hai kya ye rista hum donom ke beech mein…..
near the cot nd laying on it…. kyon ki mein tumhareliye layak nahi”...…thinking it he closed his eyes…. Thank u guys for reading …..